You are currently browsing the tag archive for the ‘minerals’ tag. 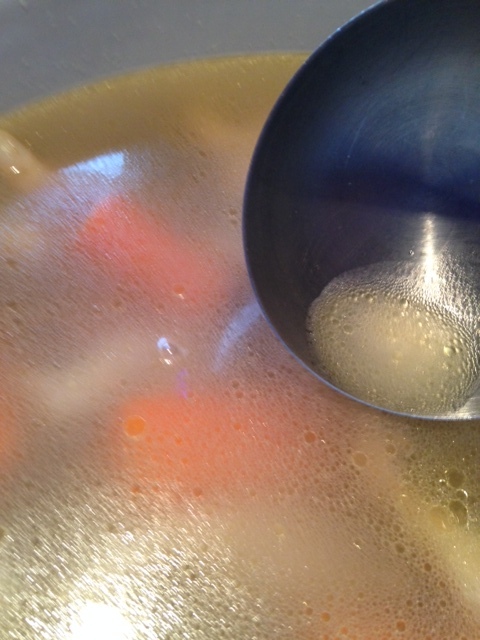 Bone broth: Drink to your health! Many of us have had the experience of suffering through a miserable cold only to be brought back to life by someone’s version of grandma’s chicken soup. Grandmothers all over the world make wonderful soups from scratch, and almost all of them start with bone broth, an often forgotten, not-so-secret-formula for supporting optimal health. The bones used to make bone broth are the cartilage-containing joints from feet and necks, as well as the large bones (legs, shoulders, etc) that contain marrow. The cartilage we ingest in bone broth activates natural killer cells and macrophages, some of the first lines of defense in the human immune system. The marrow provides the fatty acids needed for to support brain function, growth and to boost immunity (Fallon Morell, 2014, p. 26). Adding spices to bone broth will also help trigger the release of fluid in the mouth, throat, and lungs, helping to thin respiratory mucus making it easier to expel. Bone broths are packed with nutrition in the form of amino acids and minerals. One of bone broth’s abundant amino acids, glycine, supports the body’s detoxification processes, and is used to synthesize hemoglobin to build blood and bile salts, needed to digest fats. Another amino acid, proline, promotes good skin health, especially when the body’s vitamin C intake is high. While the marrow and cartilage cook, minerals like calcium, magnesium and phosphate and nutrients like glucosamine and chondroitin sulfate are released into the broth. These nutrients help to maintain strong bones and to fight inflammation in the body. Because bone broth is made with connective tissues laden with collagen, when it cools, it congeals into gelatin (McGee, 2007). 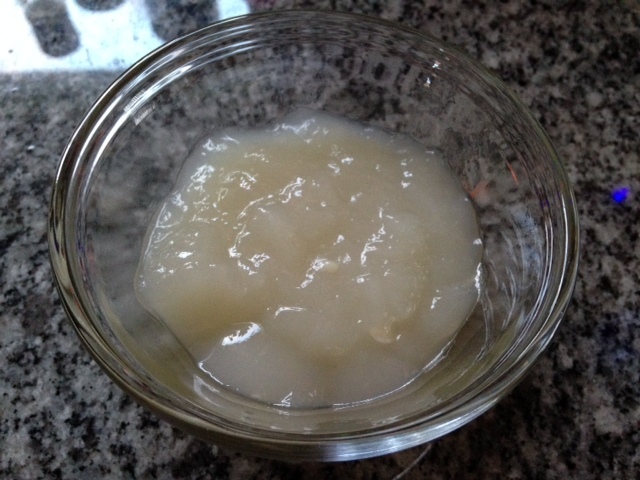 While most cooked foods are a little harder to digest than raw foods, gelatin is a liquid-attracting colloid; it facilitates digestion by attracting digestive juices to food in the small intestine. Gelatin is also healing for the digestive tract because it contains glutamine, an amino acid that serves as the preferred fuel for the small intestine. In her book, Nourishing Broth, Sally Fallon Morell details a long history of research on the healing properties of gelatin going back to the Napoleonic Wars. This research came to a screeching halt in the mid-1900’s when interest shifted toward individual vitamins and minerals. The shift also coincided with a time in history when commercially produced MSG became much more widespread in packaged bouillon cubes and canned soups. If you are still not convinced of the value of bone broth, consider this, you can make a gallon of super-nutritious bone broth for as little as $5.00. Traditionally, grandma’s great soup recipe began with a bone broth made from bits and scraps because she never let anything go to waste. She would ask the butcher for feet, knuckles, necks and backs because she knew these extras were inexpensive. She saved chicken and turkey carcasses, from making that big Sunday spread and she spent the better part of a day whipping up a huge batch of bone broth to freeze and reuse as a base ingredient for future sauces, gravies and soups. In the coming weeks I will be exploring why it’s best to make rather than buy broth, how to make it and where in DC you can get good bones! If you are interested in this topic, join me at Center Point Healing February 19 at 7 pm for a Bone Broth Workshop. Fallon Morell, S. (2014). Nourishing broth: An old-fashioned remedy for the modern world (p. 9). Grand Central Publishing. Kindle Edition. McGee, H. (2007). On food and cooking: The science and lore of the kitchen. Scribner. Kindle Edition. (Kindle Locations 3635-3641). On March 21, for one of my classes at Maryland University of Integrative Health, we were asked to design a booth for our nutrition expo. 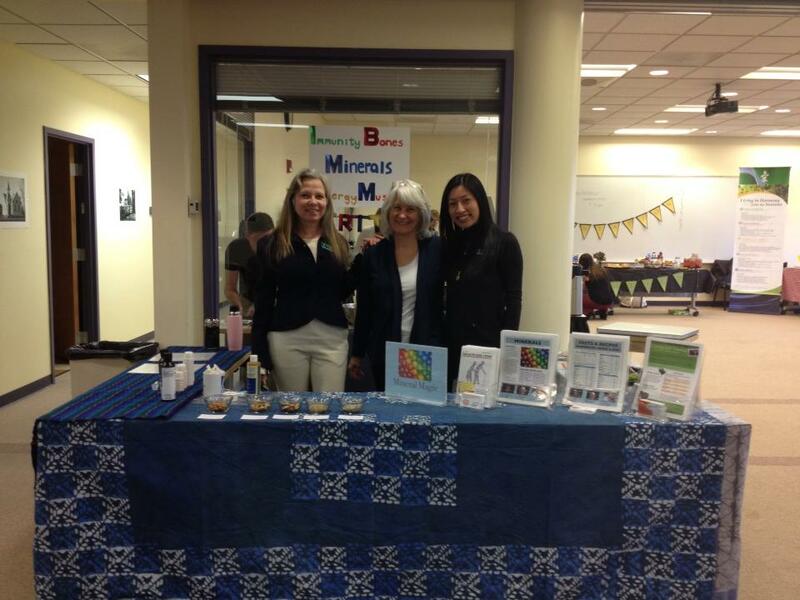 I joined classmates MaryJane Bembenek and Sharon Chan in preparing a booth on Minerals. We presented on why they are important and did some simple testing to help people determine if they were mineral deficient. Thank you to those who were able to make it. We had a great night speaking with lots of people from the MUIH community and others in the surrounding area. In the coming weeks and months I hope to share with you some of the insights I gained while preparing our mineral booth. Minerals, like vitamins are needed for so many of the body’s functions. Depending on how balanced out diets are, most of the minerals we need are provided by the foods we eat. Minerals come from the earth and from the sea. As one can imagine, there are plenty of reasons to question whether the foods we eat are providing the right amount and balance of minerals needed for our bodies to function. Modern agriculture’s focus on nitrogen fertilizers and mono-cropping can advance soil depletion which negatively affects the mineral content of the vegetables and fruits we eat. These methods can also have a negative impact on the quality of the grasses and feed that animals eat, so animal products, like meat, eggs and cheeses could have less mineral content than they once had. Sea foods – like seaweed and fish have also been negatively impacted by pollution. In biology and history classes I am certain you’ve heard of some of the diseases that are caused by vitamin and mineral depletion – diseases like rickets, pellagra, Beriberi, scurvy and night blindness and conditions like goiter are more widely known in the less industrialized world than they would be here in the United States. But, given the diminishing quality of mineral content of our soil, and the fact that processed foods (which strip the original mineral content from foods – only to add synthetic vitamins back in), are more widely available than whole foods, we can only benefit from paying more close attention to whether we’re getting the right balance of vitamins and minerals from our foods.